These have to be some of the prettiest earrings I have ever seen. 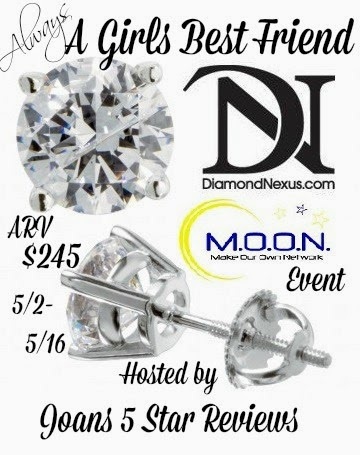 Giveaways like this one, I really wish I could enter, because I REALLY am wanting these earrings. Whoever wins these beautiful earrings are going to be one very lucky person. Everyone should own this ultimate classic! These refined solid 14k gold settings show off a pair of Round Brilliant cut diamond simulants in basket settings: the original must-have jewelry staple! Screw back posts ensure they’ll stay put through just about anything. This giveaway is open to the Continental US only (because of shipping costs) and will end on May 16th, 2014. I’ve honestly never seen one of these before. What it is, is a cooker and power station all in one. It would be great to have while camping. 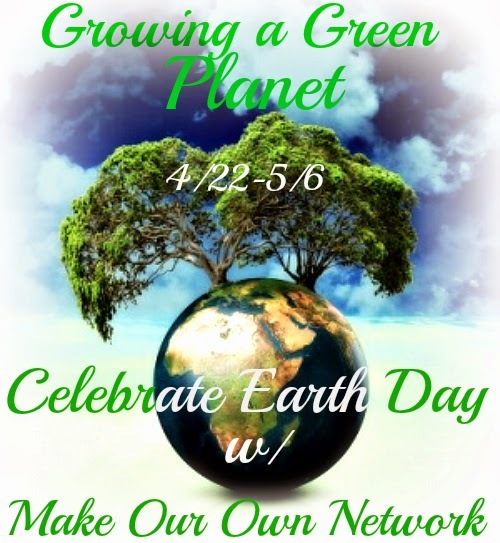 Happy Earth Day everyone, now let’s celebrate with a giveaway. There a lot of amazing sponsors with this one. Enjoy!! 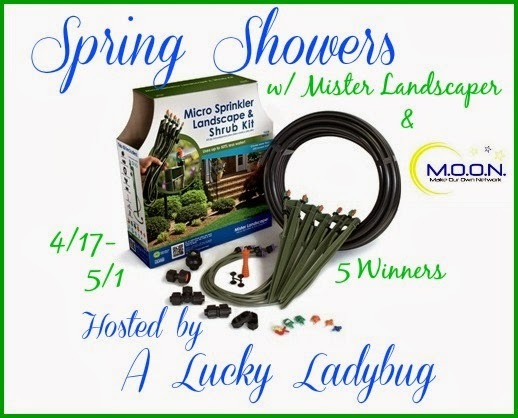 Spring Showers with Minster Landscapers and M.O.O.N. This giveaway is open to the Continental US only (because of shipping costs) and will end on May 1st, 2014. Recently I have become absolutely addicted to prize candles. I have tried several different brands, and I LOVE them all. One of the most unique prize candles I’ve seen is Precious Gem Candles. These prize candles do not contain rings, earrings, or necklaces; they contain loose gem stones. I recently got the orange creme and a tropical papaya Precious Gem Candles. I love these highly fragrant candles because they made from an all-natural and clean burning soy wax blend. What that means is that is safe to have in your home and there will be no black stuff every where. Why is soy wax better than paraffin wax you may ask? 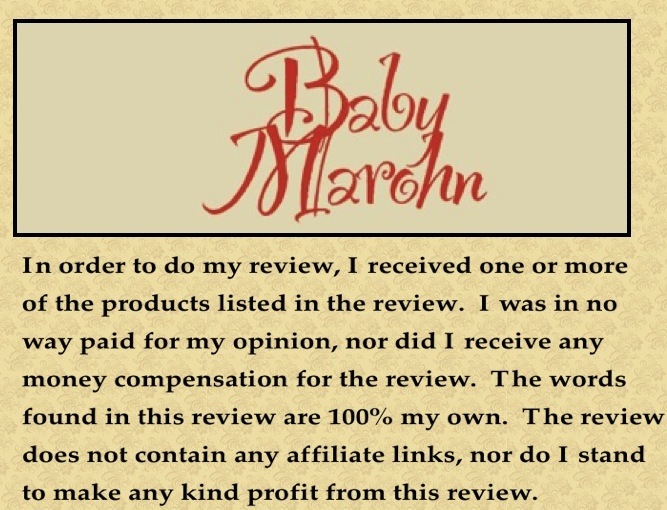 Well I asked the same question when I started reviewing Precious Gem Candles and the Jewelry In Candles tarts I reviewed before. Here is what I found in my research. Candles that are made from paraffin wax contain petroleum, and when burned the petroleum smoke/exhaust can contaminate the air we (and our children) breath with toxic carcinogens. If you ask me, that is kind of scary. Not only are Precious Gem Candles safe to have around your home, but they smell AWESOME too. I have to say that the Orange Creme, with it’s blend of orange sorbet and vanilla ice cream scents, it really does smell like a creamsicle. The Tropical Papaya, reminds me of Tropical Twist gum from Trident. Both of the candles smell AWESOME!! When getting to your prize, you will need to have some patience. For me, the orange creme candle took about 6 hours of burn time to get to the gem, and the tropical papaya took about 4 hours. The burn time may be different for you, it just depends on where they have placed your gem. Here is a video of my Precious Gem Candles gem reveal. The best way that I found to get them out is to use a spoon, and kind of dig around the container. Make sure you have paper towels handy (if you see me run away in the video, that’s what I am running to get because I forgot that part)! Once you pull out your gem from the container, there will be a code and a link on the paper that in the baggy with your gem. This the the gem I got from the orange creme Precious Gem Candle. If you go to http://preciousgemcandles.com/your-gemstone/rg/, you will see that I got a Rhodolite Garnet (Goose’s birthstone!!) The page tells me a little about the gem, and where they are found naturally. If you then go over to https://www.facebook.com/PreciousGemCandles, you can give them your code (on this one it was P-7x5mm-AAA), and they will give you the market value of your gem! Within 24 hours of me posting on their wall, I had the market value of my gems! Both of them are worth $20-$25, and I couldn’t be happier. If you are wondering what you can do with the gems once you uncover them? 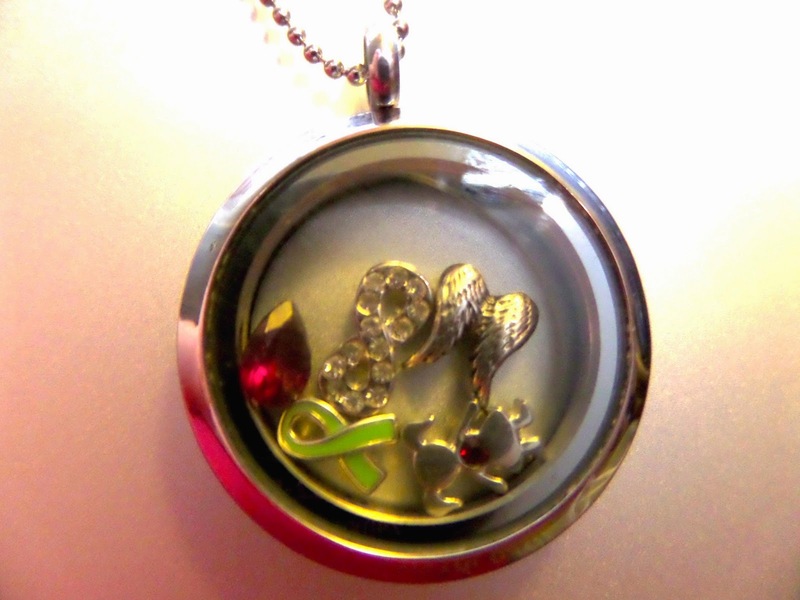 I put mine in my locket (I already had get it from Origami Owl), they are available on Precious Gem Candles website. You can also set the gems in earrings, rings, pendants and more! If you are thinking you might just have to have a Precious Gem Candle they run about $44.95 (plus shipping and tax), and you can purchase them on their website http://preciousgemcandles.com. 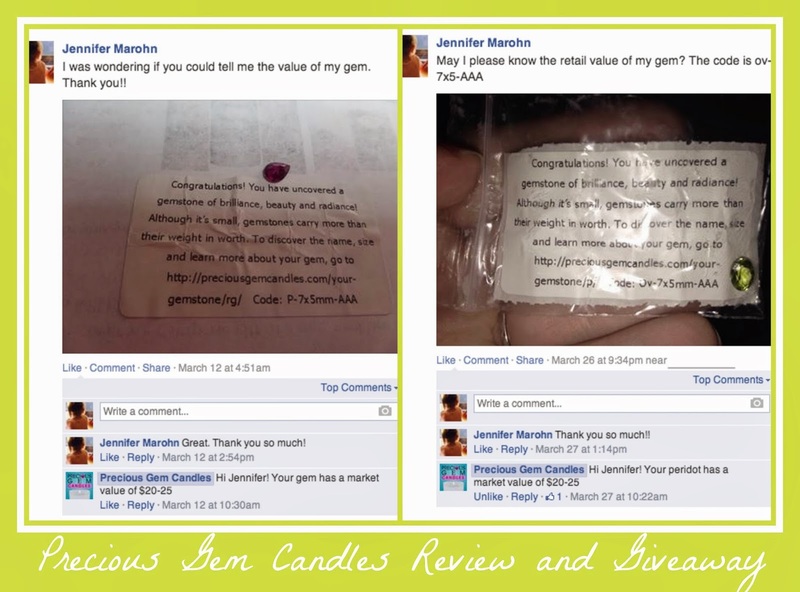 If you would like to try and win your very own Precious Gem Candle, you can enter anytime between now and April 22, 2014 at 11:59pm. One thing I found I actually really loved about trying to be crunchy, is cloth diapering. I mean cleaning wasn’t fun, but it was easy, I only had to buy them once, they seemed to leak less than disposables, and they were super cute! Lotus Bumz was started by Lorain Danus-Herder after her son was born, and she saw the need to have affordable/high quality cloth diapers on the market. Thus Lotus Bumz was born. 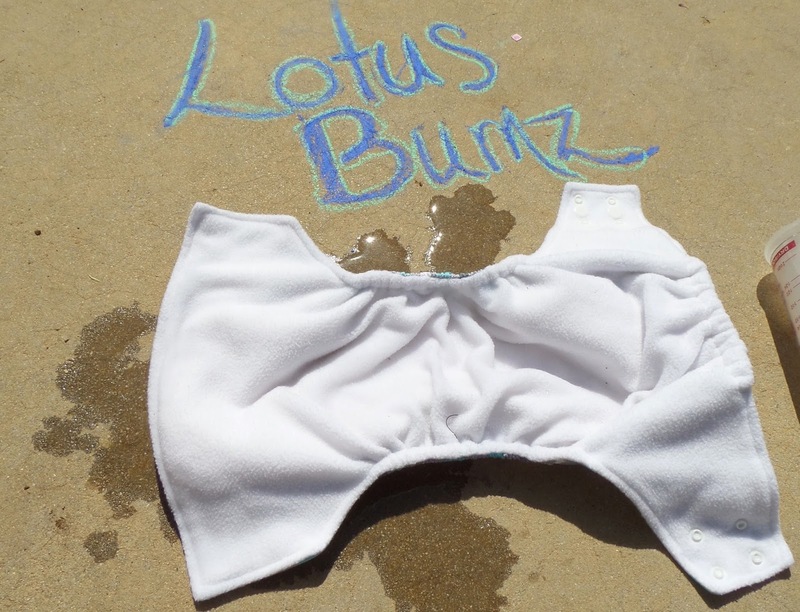 Lotus Bumz cloth diapers come with a complete out layer of PUL. There is also three rolls of snaps, so that the diaper can be used in small, medium, large. Two rolls of snaps keep the diaper extra secure, and the waist closure snaps over lap for babies who have extra small waists. 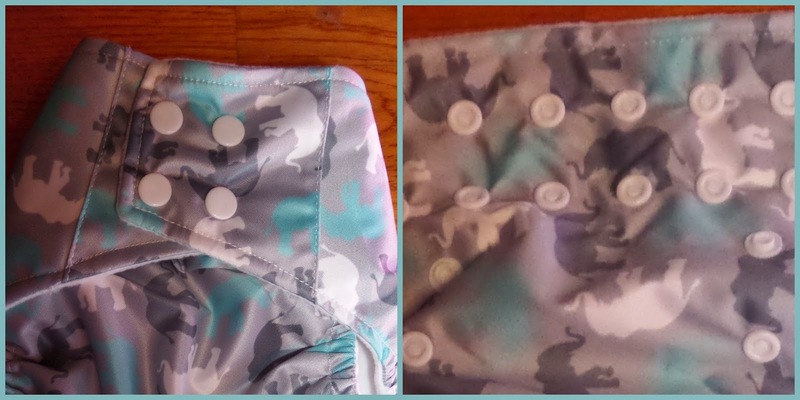 The inside of the Lotus Bumz diapers are lined with super soft fleece, and has a wide pocket in the back that makes it easier to stuff and pull apart when washing. Each of the Lotus Bumz diapers come with a three layer microfiber insert that is very absorbent. My only problem with the insert is that it is really really long. I think that if you were using it on a baby who may be using the small size of the diaper, it would either be really bulky or sticking out of the diaper. Please keep this in mind, and consider looking into smaller cloth diaper inserts. PLEASE NOTE: When I test out a product such as this one, I try and push it to it’s limits. In the photo below, I am testing absorbency, so there will be water around the diaper. Goose is no longer in diapers, so when I test cloth diapers now I pour two cups of water on the diaper and see how much it would hold. When I did this with the Lotus Bumz diapers, at one cup, the diaper would have probably still been ok with no compression leaks. At a cup and a half, the diaper was still holding the water, but if the baby would have sit on that diaper, then it probably would have leaked out the sides. By two cups of water, the diaper was over flowing, and that is the water you see on the ground above. I think only about 1/4 cup of water actually leaked out with no compression. I have another Momma testing it out right now on a 3month old. Over all I think that the Lotus Bumz diapers are really cute, and very well made. 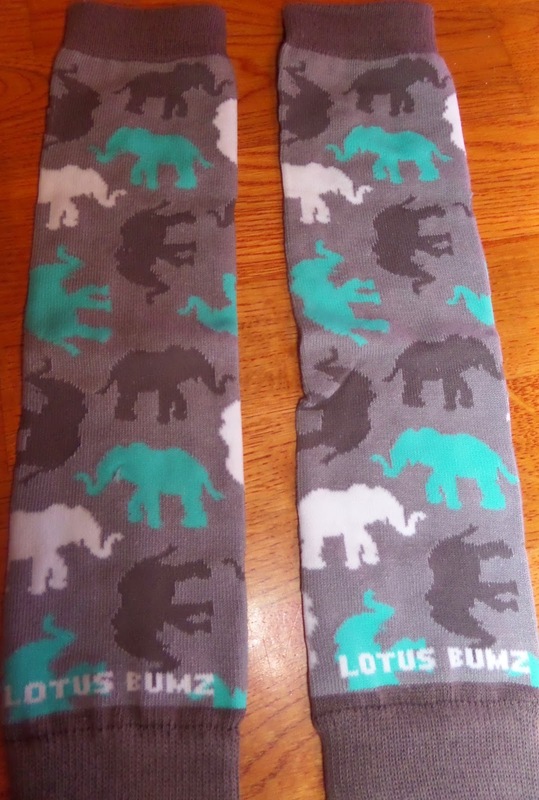 Not only do Lotus Bumz make really adorable and affordable diapers, but they also make MATCHING leg warmers! At $14.99, the leg warmers are really affordable since they will last so long. 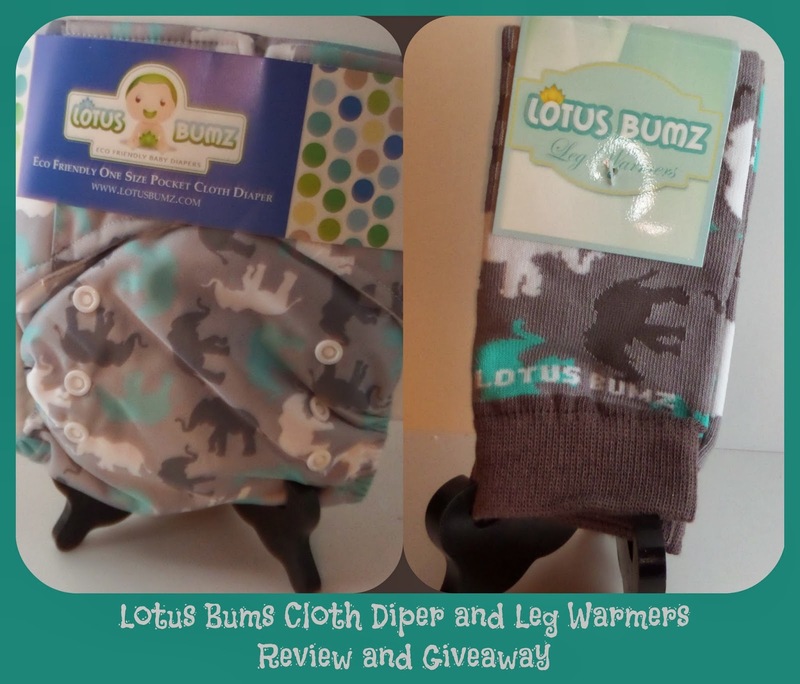 If you would like to check out the cloth diapers or leg warmers from Lotus Bumz, you could check out their website: http://www.lotusbumz.com/. You can also enter to win a elephant print or go fish set (depending on what is in stock) any time between now and 4/6/14 at 11:59pm. I LOVE coffee, I mean really love coffee. I am not like a lot of people who just like coffee for the caffeine fix, I love to the taste of a good cup of coffee. Since I love coffee so much, I’m always trying new brands of coffees that I find. I recently saw the Rogers Family Company, and fell in love with their company and their story. Their company was started in 1979, and is “one of the few remaining family owned gourmet coffee roasters”. I was sent four different blends of the Roger’s Family Company coffee. When I first opened up the box, I had a cold, but through the cold, I could smell the coffee. Each bag has a one way valve that let’s gases and air out, but does not let air in, keeping the coffee fresher for longer. These Kenya coffee beans look like they were freshly roasted. You can still see the oil on them, the color is great, and they have a wonderful smell! Once ground, the coffee kept that nice rich brown color. I did a medium/fine grind on my coffee grinder. For brewing, I used two tablespoons per 8oz of water. When brewing the coffee, I would give the flavor an A++! This coffee has the most flavor out of any other coffee I’ve ever had. 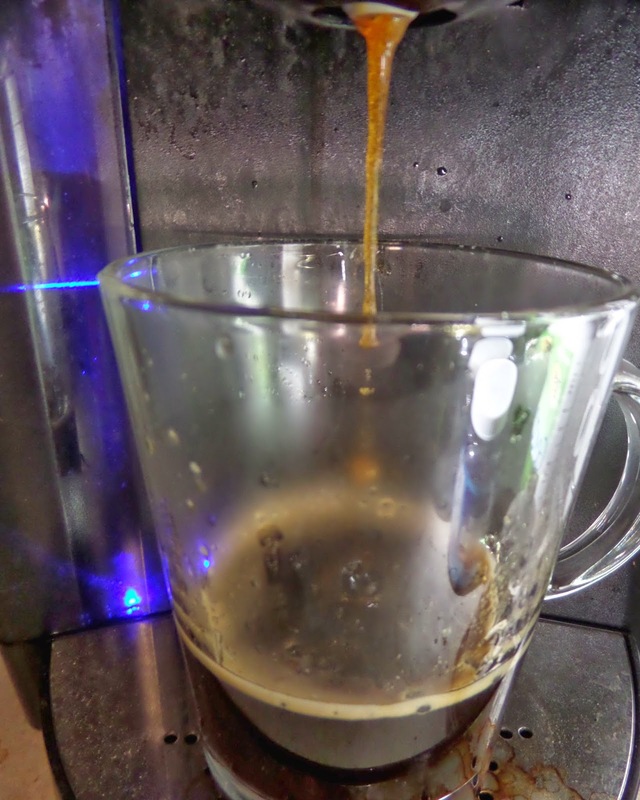 The Kenya coffee (the first one I tried) is a full body coffee, and has cocoa hints to it. The Rogers Family uses the AA grade of Kenya coffee. That is the highest quality of Kenya that you can get. My husband and I also tried the Sumatra blend, and found that it was also delicious! I am trying to use all that I have ground before I try any of the other blends, but when I try them I will update. If you are interested in trying any of the Rogers Family coffees, you can visit their website and blog at rogersfamilyco.com or you can go to http://www.gourmet-coffee.com/ to shop their brands. If you would like to sign up for their newsletter you may do so by clicking here. Also, between now and April 9th my US readers may enter for a chance to win the four 12 oz bags of whole bean coffee pictured above (ARV $40). When Goose was just learning how to eat solids, we had a LARGE assortment of bibs, but I always found that she and the high chair were still covered in food after we got done eating. T.J. Kendale, father of two, noticed the same thing. He then set out on the journey to make bibs better, and thus the perfect bib was born. Don’t worry, the bib doesn’t hurt, Goose was just mad that I was taking her photo. The perfect bib is a multi-purpose toddler accessory. They are made from water proof PUL (polyurethane laminate) fabric, so that nothing leaks through. Each bib comes with a placemat that is attached with Velcro so that it can be removed. Snaps on the bib it’s self can create something like a kangaroo pouch, that way crumbs and dribbles can be caught. You can use the two pieces of the Perfect bib together or apart. There are so many uses for the Perfect bib and lots of times it can be used. Here is the list I’ve come up with. If you little one is potty training, the attachment can be put in the car seat or bed to help keep any potty accidents from soaking in. 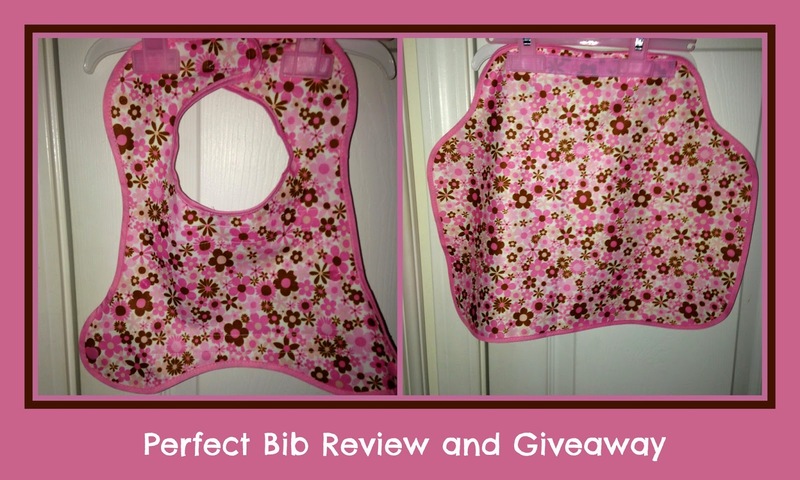 If you would like to check out the Perfect Bib, you can visit their website at http://perfectbib.com/. The Perfect Bib on their website costs $11.99, and they use PayPal for checkout. I’ve also seen the Perfect Bib on Amazon, but the price is more. If you would like to get social with Toppy Toddler and Perfect bib, you can visit them on Facebook and Pinterest. Toppy Toddler is also letting me giveaway a Perfect Bib if I get 100 people to enter the giveaway. So be sure to share, share, share!!! 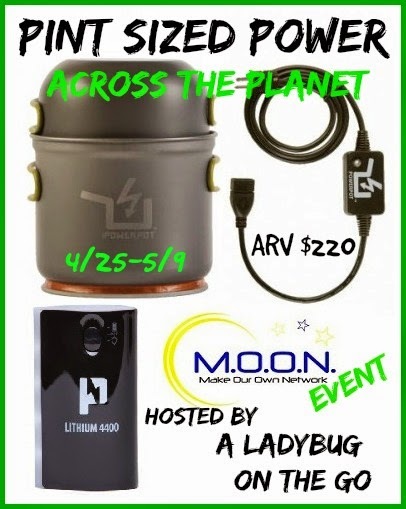 Here is another awesome giveaway by M.O.O.N. 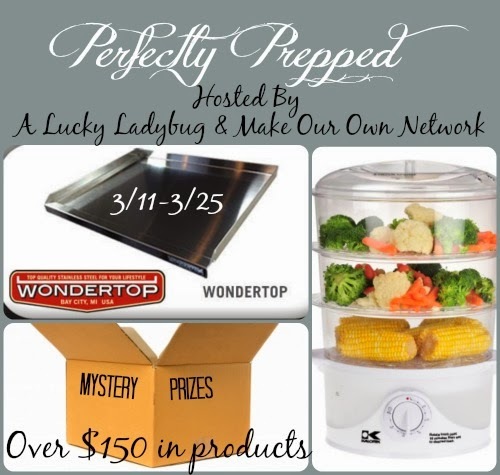 You can enter to win a WonderTop stainless steel food prep station, a Kalorik 3 tier food steamer, or a something awesome from Prepara. 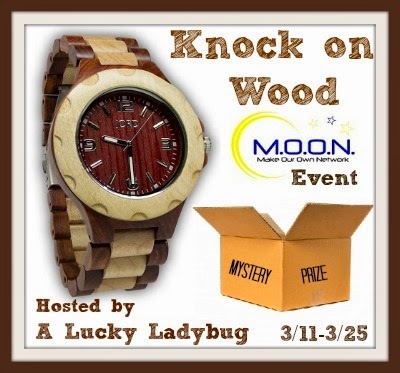 I recently saw a JORD Sully wooden watch, and it was BEAUTIFUL!! I am so happy that M.O.O.N was able to bring you guys this giveaway, so that you all could see how pretty these watches are.